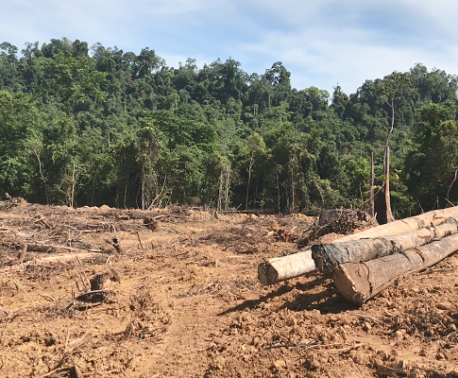 World Land Trust (WLT) has launched its biggest ever appeal aiming to raise one million pounds to secure a wildlife corridor for Bornean Orang-utans in Sabah, Malaysian Borneo. The launch of the appeal was held at the Linnean Society in London, and the event was introduced by a short film of a male flanged Orang-utan building its nest for the night. Special guest at the launch was leading conservationist and Bornean Orang-utan specialist, Dr Isabelle Lackman. Isabelle is Co-Director of Hutan, WLT’s conservation partner in Malaysia. She spoke passionately about the need to create a vitally important wildlife corridor along the Kinabatangan River. As a result of logging and agricultural development including Oil Palm cultivation, 90 per cent of Sabah’s native Orang-utan populations has been wiped out in the past 100 years. However – and this is where WLT comes in – with strategic purchasing, it’s possible to secure, one by one, small parcels of land to form a corridor between existing protected areas that are currently separated. Linking fragments of forest enables isolated groups of Orang-utans to form larger, more viable populations. And many other species benefit as well. Journalist and WLT supporter, Dominic Belfield attended the launch. 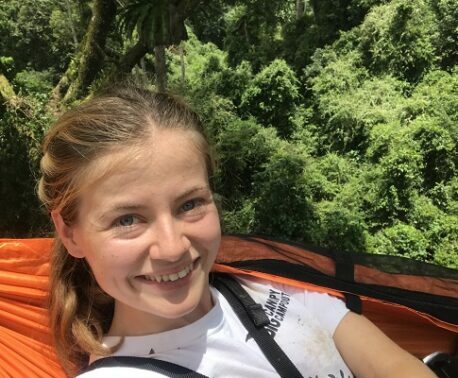 “Dr Isabelle Lackman is an impressive wildlife advocate and her presentation was an unmissable chance to get a grasp of what Hutan is up against in Sabah, while affording a real sense of hope for what can be achieved by intelligent, determined, well motivated people,” said Dominic. 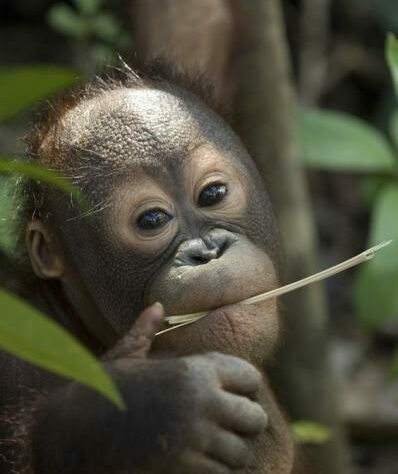 WLT Trustee, Dr Simon Lyster, called on WLT supporters to back the Borneo Rainforest Appeal. “We are launching WLT’s largest appeal ever,” said Simon, “and we are focusing our fundraising efforts on WLT’s Big Match Fortnight, which runs from 2 – 16 October. We have some incredibly generous supporters who have pledged £125,000 to match public donations of the equivalent amount.” If WLT can successfully raise £250,000 during Big Match Fortnight, there is another supporter who is prepared to bring the total raised to £300,000. The Borneo Rainforest Appeal: aiming to raise One Million pounds was launched on 13 August 2013. After Big Match Fortnight, please help WLT reach its million pound target to safeguard Orang-utan forest habitat by donating to the Borneo Rainforest Appeal.